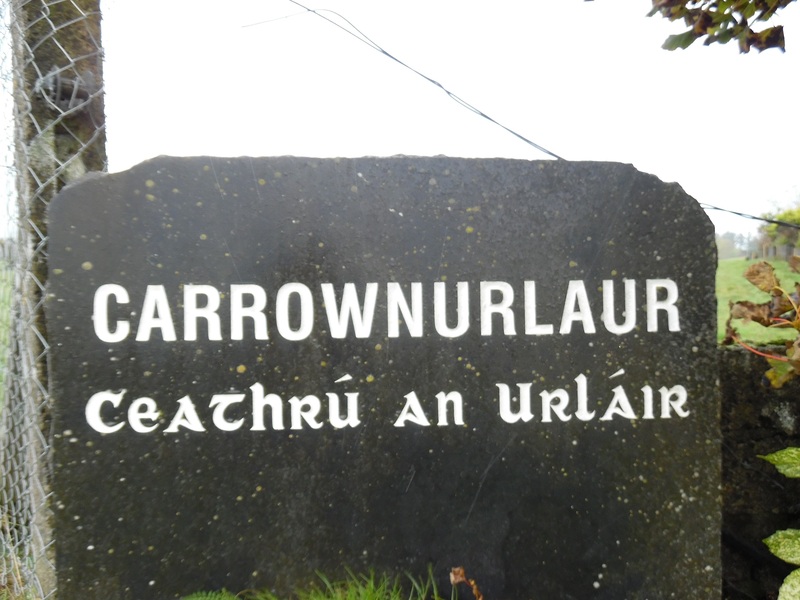 There are 3 monuments in Carrownurlaur: 1 Ringfort (rath), 1 Enclosure and 1 Burnt Mound. Description: On E-facing slope of a hill in undulating grassland. Poorly preserved sub circular rath (east-west 48m, north-south 43m) defined by two banks and an intervening fosse. The fosse and outer bank are present from northwest to north, no visible surface trace survives anywhere else. Within the interior is a rectangular depression and two large boulders which appear natural. There are no descriptive details for this monument at this time. 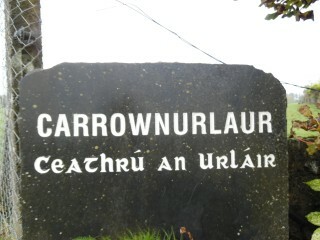 Description: The remains of this burnt mound (fulacht fiadh) were discovered in July 2014 in a relatively flat field that had been recently ploughed and harrowed (pers. comm. Dr James Bonsall). 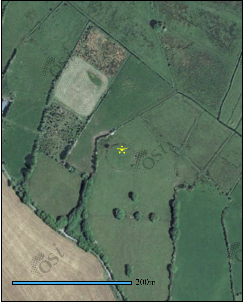 A spread of burnt stone, roughly sub-oval in plan (9m southwest-northeast; 6m southeast-northwest), was evident on the surface of the field and at a depth of 5-10cm below the loosely harrowed soil. Date of last visit: Tuesday, July 08, 2014.